Patrick Antoine has been charged with the murder of his wife. 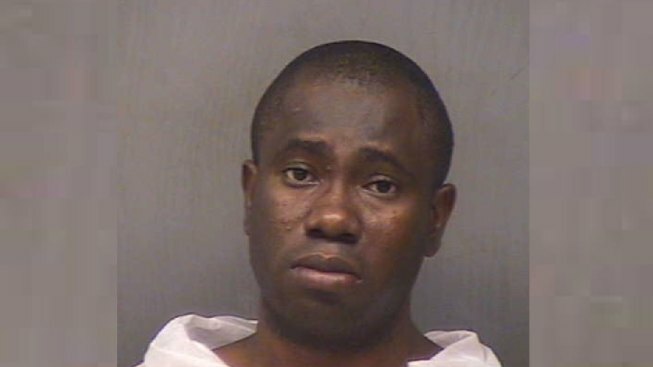 A Norwich man accused of stabbing his pregnant wife to death before lighting their apartment on fire said he believed the woman was a Voodoo priestess who was casing spells on him, according to police documents. Patrick Antoine, 39, turned himself in to police at 10:49 a.m. on Thursday and told officers he had stabbed his wife to death and then set their apartment ablaze, Norwich Police said. He appeared in court on Friday. Officials found an unresponsive 8-months-pregnant Margarette Mady, 37, with severe burns and several stab wounds at 283-285 Franklin Street, police said. According to police court documents, Antoine and Mady were in a verbal argument the morning of the murder and fire. When Mady walked out of the kitchen, Antoine said he grabbed a wooden handle steak knife and put it in his pajama pocket, documents said. Antoine told police he thought his wife was a Voodoo priestess who had cast several spells on him over the last couple of years. The suspect also said his wife had told him he'd be dead by July as a sacrifice prior to her child being born. Police said that Antoine did not believe Mady was pregnant with his child. As the argument continued, the victim allegedly pushed Antoine and he began stabbing her in the head, face and feet repeatedly, court documents said. After stabbing his wife multiple times, Antoine used a Bic lighter to light curtains in several room of the apartment on fire, according to police documents. Antoine, covered in blood, turned himself into Norwich Police at 10:49 a.m., around the same time crews were dispatched to their apartment on Franklin Street for the fire. "My wife is dead," Antoine allegedly told police. "I killed my wife." Mady, who family members said was expecting her third child, was found unconscious in the burning home and police said she was pronounced dead at the scene at 11:10 am. Mady was pregnant with her third child, a baby girl and the other two children were not home during the incident. Antoine is being charged with murder and first-degree arson and bond was set at $1 million. There's been no charges against Antoine for the death of the fetus. According to the state, the killing of an unborn child is not murder under Connecticut's statutes. There was no attorney listed for Antoine. A GoFundMe page has been set up by the victim's family to pay for funeral expenses. Ken Buffa contributed to this report.